Acura RDX Exhaust Gas Recirculation/EGR Valve Replacement at your home or office. Acura RDX Exhaust Gas Recirculation/EGR Valve Replacement costs $571 on average. What is the Exhaust Gas Recirculation/EGR Valve all about? The EGR (Exhaust Gas Recirculation) valve helps lower the car’s exhaust emissions (gases from the tailpipe). It recirculates the portion of the gasses coming out of the engine by putting in back into the intake manifold, where the engine can burn it again, thereby reducing the emissions. The EGR valve is located in the engine compartment (underneath the hood). Most engines require exhaust gas recirculation to meet emissions standards. If the EGR valve has gone bad, the car will not pass emissions. During the EGR valve replacement, your mechanic should also inspect the vacuum hoses connected to the EGR valve. If the vacuum hoses are cracked (leaking), the EGR valve will not function properly. Scan the computer system in the car. Check all vacuum related hoses to EGR valve. Verify the EGR port is not plugged. Remove and replace the EGR valve. Clean the carbon deposit on EGR pintle. Clear the trouble codes and test for proper operation of EGR valve. 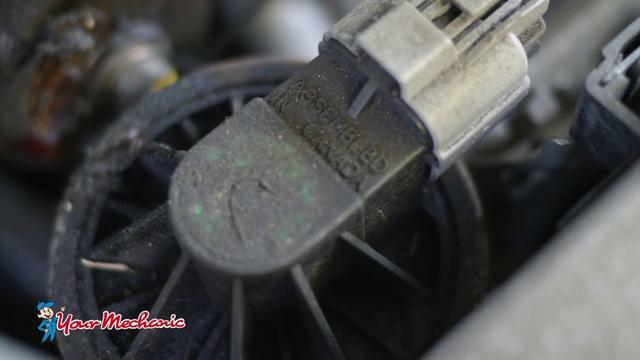 It is a good idea to get an air induction (carbon cleaning) service performed every 50,000 miles. This will clean out any sludge or carbon build up in the air intake system. Always keep up with regular oil changes; it will help prevent sludge build up in the engine. What common symptoms indicate you may need to replace the Exhaust Gas Recirculation/EGR Valve? Check Engine light is on. Car will not run smoothly (shake, stumble, may stall). The EGR valve helps your vehicle recycle gas. The EGR valve is responsible for taking the gas that comes out of the engine, and sending it through the intake manifold, where the engine can utilize it again. Without the EGR valve your vehicle will not recycle and reuse any of its gas, which increases the emissions. Without the EGR, your car will not pass an emission inspection.